You trust your Honda wiper blades to behave properly for whatever the road or mother nature throws at you. In inclement weather or debris-filled areas, properly installed and functioning wiper blades are key to driving safely. For your Honda to continue to improve your visibility while traveling from point A to point B, you have to stay on top of your wiper blade maintenance. That’s where our Honda service center near Jackson comes in. Whether you need a hand installing new wiper blades or are simply stopping in for more windshield wiper fluid, we can help. Why are Windshield Wipers Important? Routine wiper blade inspections are one of the most uncomplicated, yet critical general maintenance procedures out there. However, many drivers tend to put it off. What Do Wiper Blades Do? Wiper blades clear the windshield of leaves, rain and other debris that accumulates on top of it. Without customary wiper blade maintenance, your visibility while driving could become critically impaired. When Should Wiper Blades be Replaced? When to change your wiper blades depends on how often they are used and their condition. Be on the lookout for any fraying, rigid edges or loud screeching noises of the blade to determine when they should be changed. 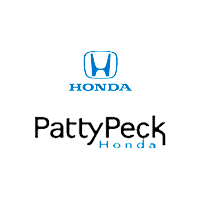 At Patty Peck Honda, we are delighted to serve drivers throughout the greater Jackson area. We offer early hours of operation Monday through Friday, so that if you would like to come in before you start your work day, you have that option to do so! Patty Peck Honda has been around for 30 years helping out customers of all makes and models, and we would love to continue to help them out for another 30 more! If your vehicle is in need of new wiper blades or windshield wiper fluid, contact Patty Peck Honda at 601-957-3400.